Want to get more product sales? Trying to create the best labels for your product? Creative design is essential within every part of your business branding strategy whether that includes designs for digital signage, social media profiles, or product labels. A great design can be the one thing that allows your product to move ahead of competitors and get you more sales than you can handle. It's important that you put a lot of effort into crafting the perfect label if you want to make sure your product is flying off the shelves. Below we'll give you our top 4 tips for increasing sales with creative product labels. One of the best things you can do to make your product labels more interesting and creative is to add some stylish, high-quality visuals to it. Using illustrations, graphics, and images that relate to your product or catch a customer's eye in some way can be helpful for getting their attention. However, make sure you don't overdo it as you may risk making your label look too cluttered. Choosing the right color scheme is also important for improving your product labels. Believe it or not, color psychology plays a part in the products customers choose to purchase so don't neglect this component. Red, for example, is the color of attraction while blue evokes a feeling calmness in anyone who looks at it. Make sure that you're using color psychology to your advantage to attract customers and to draw attention to your product. Choosing the right typography can make all the difference in creating a great label that gets you more sales. Choose your fonts and typefaces carefully and know your customer when determining which font aesthetic would speak to them. Additionally, you may want to consider using more than one typeface on your label. Using two or more typefaces together can add some differentiation and visual interest to your label. Using two typefaces to great effect can help make your label more easy to understand and will make your label seem less cluttered as well. The final thing to remember when designing high-quality product labels is that you need to make sure your labels are as readable as possible. While it's great to make creative labels, you also don't want to go overboard with it. Even if your product label has illustrations, interesting typefaces, or attention-grabbing color schemes you need to ensure that it's all part of a cohesive whole. It should be able to be read easily by anyone considering making a purchase. Using the right font and adding more white space can help with improving readability. You should also make sure that you're using high-quality sticker paper sheets or paper for your labels. 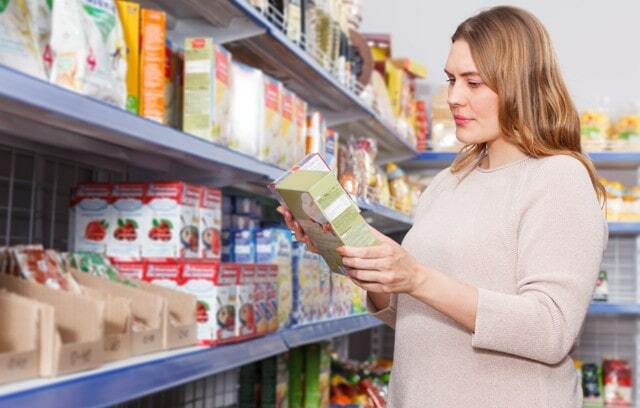 While there's a lot to consider for ensuring your product labels will attract sales, by using the tips above you'll have a great chance of getting more customers with your labels. By thinking long and hard about your label design, all of the time you spent making the product itself will be well worth it in the end. Looking for more marketing and branding tips? Click here to find out which advertising methods are best for your business to use.